At the end of November, Limitless Mobile’s subscribers in central Pennsylvania knew something was amiss when their cell service was cut off, and if they went to the Susquehanna Valley Mall in Selinsgrove this past weekend they would have been greeted with an empty store with a note on the security gate that said the store had been closed and Limitless regretted any inconvenience. But creditors weren’t given an apology by the successor to Keystone Wireless, LLC when it filed a chapter 11 voluntary petition in the U.S. Bankruptcy Court for the District of Delaware on Monday, stating that it has an estimated $10 million to $50 million in assets, and $50 million to $100 million in liabilities. 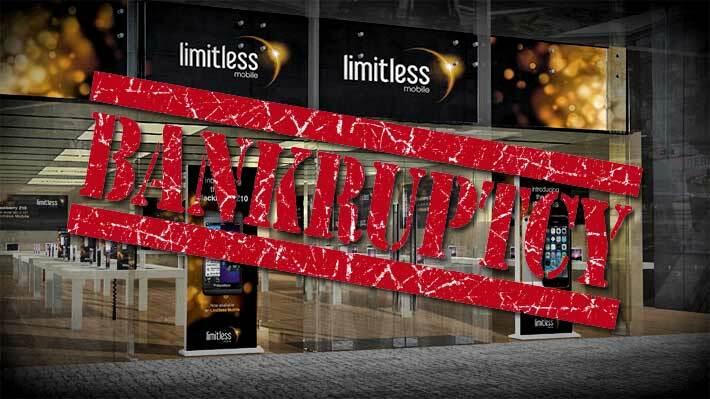 And, according to two contractors contacted by Wireless Estimator, they hadn’t received notification and weren’t aware that Limitless had filed for bankruptcy. One contractor said that his firm hadn’t been doing any work for Limitless since September, “after they had a big push to get work done for the quarter”. “Now it’s obvious as to why they weren’t returning phone calls,” he said. Of the 255 creditors, almost all unsecured, the three major towercos were listed with American Tower Corp. being owed the most, a minimum of $229,861. Other tower owners due payments include Horvath Towers and Diamond Communications. A number of suppliers were also burnt such as Perfect 10, Eupen Cable and TESSCO. Contractors were also left unpaid with MNM Wireless of Willow Grove, Pa. being owed the most, $240,548. MasTec Network Solutions, Tower 16, Novotech Construction and others were listed in the filing. 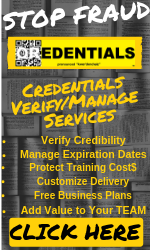 Although Limitless said that some funds would be available for distribution to unsecured creditors, the amount was not identified in the filing. Some companies like MasTec will likely be able to weather their loss, but smaller contractors such as Weaver Construction of Ijamsville, Md. will find it difficult to absorb the possibility of not being paid $100,540 it is due from Limitless. One creditor informed Wireless Estimator that they would be identifying what options would be available, such as possibly putting a mechanic’s lien on the tower site’s owner that they were doing modifications on under an agreement with Limitless. In Pennsylvania, claimants must file a lien in the county where the property is located within six months of the date of the last work or materials supplied on the property by the claimant. Harrisburg-based Limitless, in court documents, said it has built a $40 million state-of-the-art 3G/4G LTE network that has increased access to reliable, high quality mobile phone and home internet services in rural areas. They said they suffered from continued, increased costs and delays in their network buildout, which extended the required runway to profitability that could not be realized absent significant infusions of additional capital. The company had 39 employees and cut that workforce back to 22 last week. Limitless received a grant of $25 million from the USDA for a broadband infrastructure recovery act project and an $11 million loan. Keystone Wireless, before its corporate reorganization to Limitless in November 2013, was controlled by an investor group comprised of Richard Worley, Sara Miller Coulson, Robert Martin and Linda Martin. Linda, Keystone’s executive vice president, was a frequent speaker at industry events as well as a former director of the Competitive Carriers Association. In 2013 she was listed as one of FierceWireless’ most influential women in wireless along with nine other movers and shakers such as FCC Commissioner Mignon Clyburn.